Anchovies, Marmite, Adam Sandler...all things you either really love or really hate, I personally loath Marmite and weird-voice man, but adore Anchovies. I forgot about them for a little while, but as I was fighting my way through the aisles of my local supermarket, stuck between a granny with dementia and a mother screaming at her screaming child, I noticed a lovely jar of anchovies staring straight at me...and just like that the craving hit. Caesar salad for lunch it had to be...I wasn't in the mood to make croutons so I opted for a wrap version instead. It's scrumptious and made the awful screaming-mum-and-child-granny-with-zimmer-frame-shopping-experience worthwhile. Place the dressing ingredients into a bowl and combine using a hand held mixer to blend the anchovy fillets into the dressing. 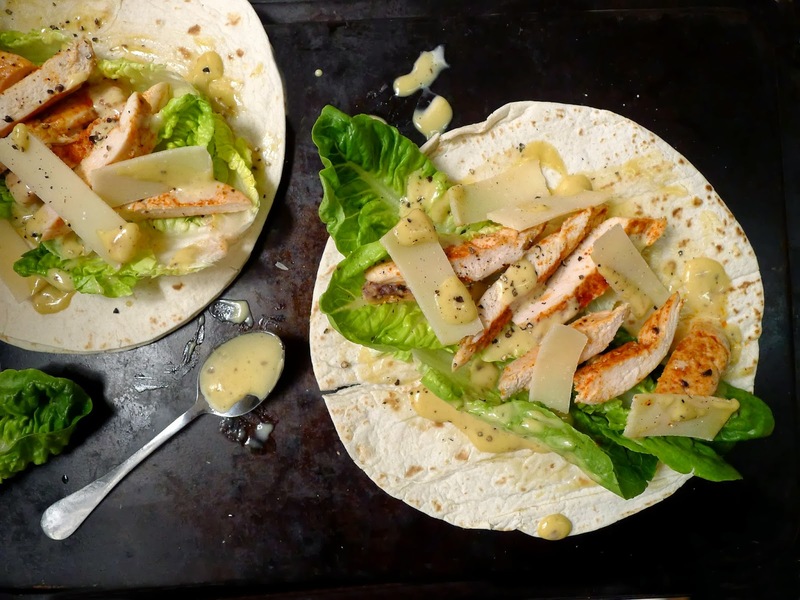 Warm the wraps in a frying pan. 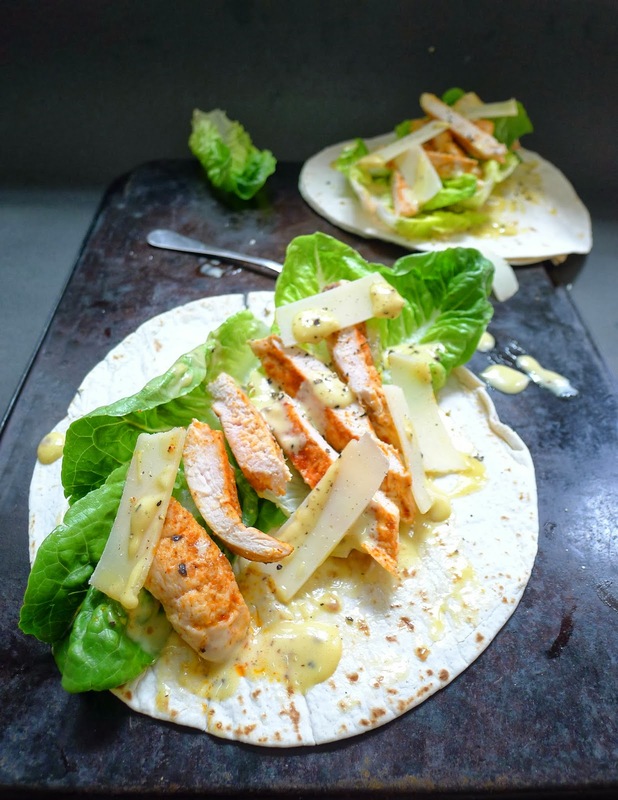 Slice the chicken fillets into strips, and wash and dry the lettuce if needed. 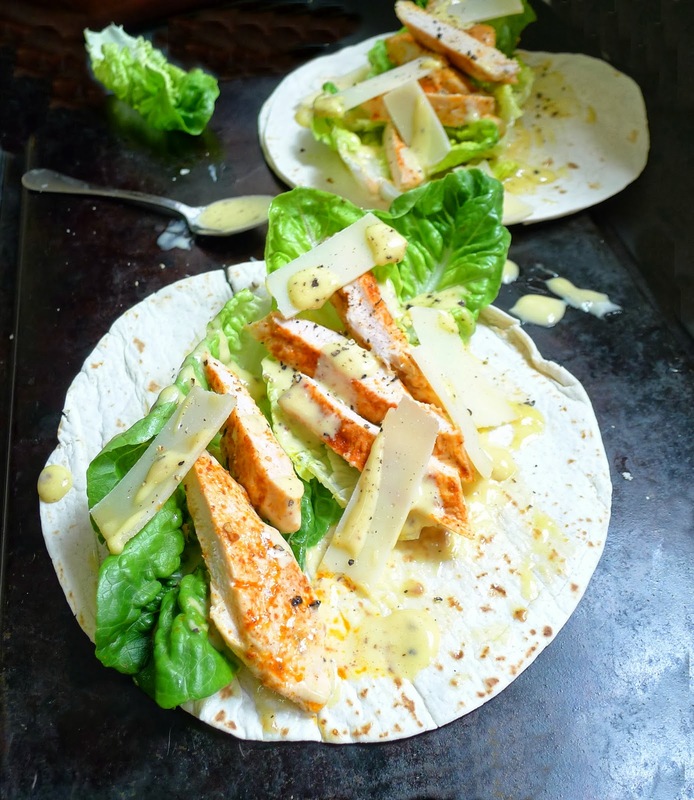 Using a spoon, smear a little dressing over each wrap and top with lettuce and strips of chicken. Finish with shavings of parmesan and a good drizzle of dressing.